It seems as though almost every diet recommends eating nuts. Why? What makes nuts such a great go-to? The truth is there are a number of great reasons to eat nuts. 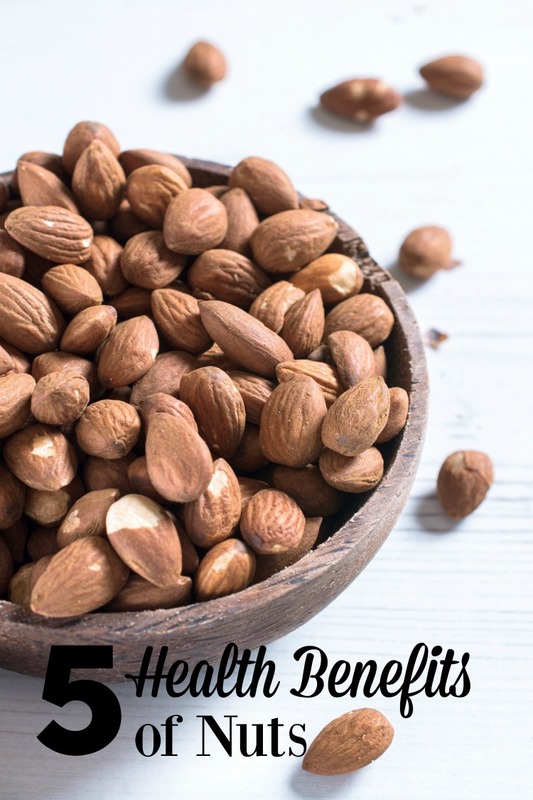 Whether you need a good source of healthy fats or want to lower your cholesterol, there are many health benefits of nuts. Note: This post contains affiliate links to Amazon or other online merchants we trust. Clicking on the links and making a purchase or joining a program costs you nothing beyond the cost of what you are purchasing. We may just see a small commission from your purchase. Nuts are an excellent source of good fat. A common mistake people make is to avoid fat altogether. The body needs fat to survive. With that said, you want to avoid saturated and trans-fats as much as possible. Instead, you want to eat foods, like nuts, that are loaded with monounsaturated and polyunsaturated fats. Walnuts are a great source. Do you often find yourself in a slump mid-afternoon? Instead of reaching for a candy bar to get that sugar high, reach for a handful of nuts. Protein is a great energy booster that doesn’t cause a crash afterward. Also, it only takes a handful to feel satisfied. Almonds are a great source of protein and have the added benefit of being a great source of calcium. You can even drink almond milk for a great protein-filled snack. 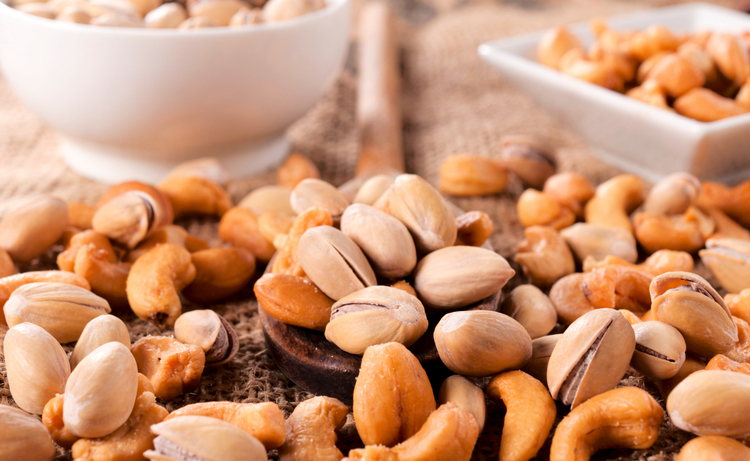 Because of the healthy fats in nuts, you will experience your good levels of cholesterol rising. Almost any variety of nut can help with your cholesterol and you only need 1.5 ounces per day. You can snack on nuts, add them to the top of salads, or add them to snack mixes. Stick with plain nuts so to avoid salt and sugar. Nuts are also a good source of fiber. Fiber is important for the body because it helps you be regular and stay full longer. One ounce of almonds contains 3.5 grams of fiber. Women need 25 grams of fiber per day. With almost 15% of your daily recommended fiber, almonds are the perfect snack to help you improve fiber intake. Last, but not least, nuts are so satisfying that you won’t find yourself overeating. You can also add nuts to your favorite dishes to make them more filling as well. For example, add chopped almonds to your cornflakes for a more filling bowl of cereal. Looking for a great online storefront that you can trust to provide high-quality products at low prices? 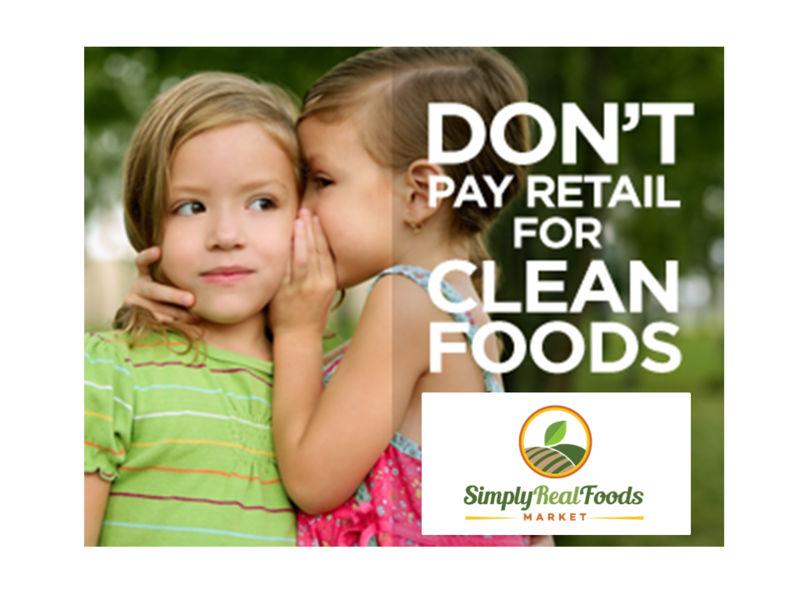 Visit Simply Real Foods Market today and get started! If you want to start eating healthier, nuts are great place to start. High in fiber, a great source of good fats, and loaded with protein, you’ll love all the benefits nuts have to offer. Do you eat nuts on a regular basis? I try to eat nuts, but they can irritate my digestive tract. Often I will have just a small amount and grind others to add to a dish. This is a great reminder that I should eat more nuts. Thanks for sharing!